BEIJING — China is trying to defuse a spiraling tariff war with Washington over technology policy by highlighting gains in other trade-related areas. The Cabinet press office invited The Associated Press to interview the head of the country's patent and copyright office, as part of government efforts to persuade Washington and other trading partners to tone down objections to Chinese industry policy. The official, Shen Changyu, pointed to improvements in fighting violations, previously a target of complaints by the United States, Europe and other traders. "China's work on intellectual property protection is solid and very productive," said Shen, commissioner of the State Intellectual Property Office. "This point should be evaluated objectively and fairly by the international community." The interview coincided with a series of events organized by Chinese officials, including briefings for foreign reporters by economists and other researchers, seeking to change minds abroad. They have emphasized China's importance as a market, its plans to end ownership limits in its auto industry and other regulatory changes. But none of those moves directly addresses the policies that prompted U.S. President Donald Trump to impose penalty tariffs on Chinese goods. Washington says Beijing steals or pressures foreign companies to hand over technology. 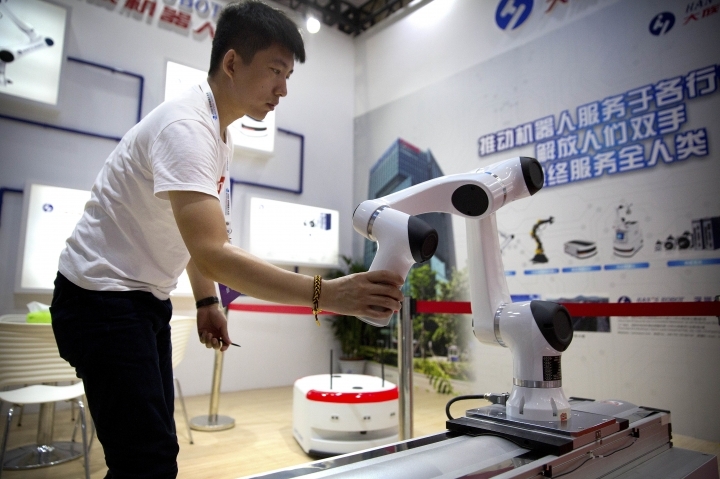 American officials say Chinese plans for state-led development of global champions in robotics and other fields violate Beijing's free-trade commitments and might erode American industrial leadership. The Cabinet press office said Shen couldn't address those complaints because his office has no role in technology policy. The Trump administration has imposed 25 percent duties on $50 billion of Chinese imports and is poised to add similar penalties on another $200 billion list of goods as early as this week. Beijing says it will retaliate. Washington and Beijing went to the brink of a trade war in the 1990s over complaints China allowed rampant unlicensed copying of medicine, movies, software, designing clothing and other goods. 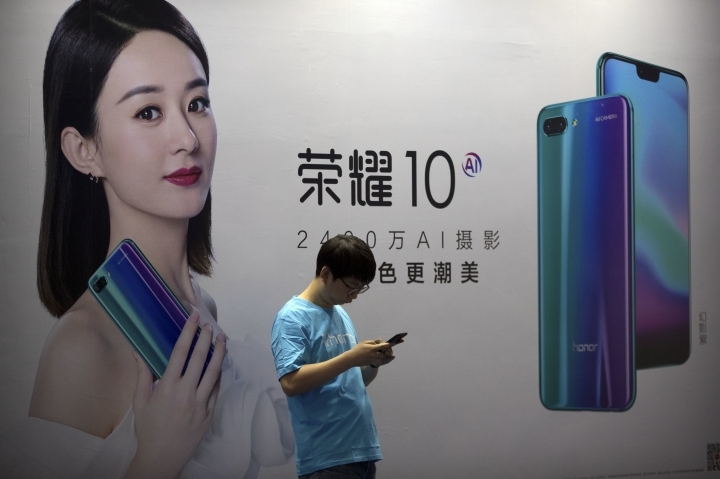 Business groups say enforcement has improved since then, largely because Chinese companies started creating their own technology in smartphones, solar power and other fields that required protection. Shen cited promises this year by President Xi Jinping and China's No. 2 leader, Premier Li Keqiang, to strength enforcement and "make infringers pay a heavy price." "It is an independent choice for us to build an innovative country and promote economic and social development," said Shen. The conflict has largely moved on from over rampant Chinese copying of Hollywood movies, music, software and medicines to one focused on the bedrock of Beijing's state-led development strategy. Chinese officials have rejected U.S. pressure to scale back industry plans Beijing sees as the path to prosperity and global influence. "Ratcheting up U.S. pressure will not work on China," said a foreign ministry spokeswoman, Hua Chunying, last week. "For people who still think China will give in to intimidation, threats and groundless criticism, I think it's the time for them to wake up." Chinese leaders also have stressed protection for patents and copyrights in meetings with foreign businesspeople, though their reaction suggested the topic is no longer the irritant it once was. Li, the premier, asked representatives of some of Europe's biggest companies at a July meeting to give examples of intellectual property theft or measures they wanted changed. None did during the portion of the meeting reporters were allowed to watch. Instead, a German auto executive expressed concern about Chinese industrial standards — part of technology policy. Shen expressed frustration at the U.S. government's "Section 301" investigation that concluded Beijing improperly obtains foreign technology. "In the 301 survey, intellectual property was a justification or an excuse," said Shen. "We hope the U.S. government will provide specific infringement cases or clues. We will deal with them seriously and will not tolerate them." China faces similar, though more muted, criticism from Europe and other trading partners. The 28-nation European Union challenged China's rules on technology licensing in a June complaint to the World Trade Organization. The EU said Beijing unfairly favors domestic companies in violation of its commitments to treat all competitors equally. At a government-organized event last week, researchers from official think tanks stressed the potential gains from collaboration between the two biggest global economies and what might be lost if they fight. "The United States and China are interdependent. Not just trade in goods but in many other areas too," said Wu Baiyi, director of the Institute of American Studies at the Chinese Academy of Social Sciences. "These are the only two countries with more than $10 trillion of economic scale," said Wu. "If there is a serious (economic) war between these two countries, then the whole world economic system may collapse. This will be a disaster for the whole world."